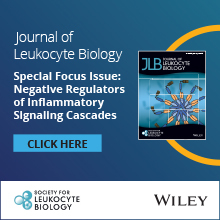 The SLB is a collegial and dynamic scientific community focused on the ever expanding research into particular aspects of leukocyte, neutrophil and macrophage biology, with close attention to “cutting edge” topics, such as pattern recognition receptors, mucosal immunity, and host-pathogen interactions. Click on the link above for a full list of member benefits. 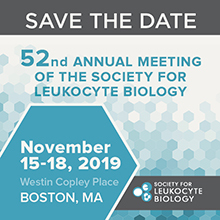 Annual membership dues include an amazing list of comprehensive benefits which include annual meeting registration discount and new complimentary abstract submission, award eligibility, iSLB subscription, complimentary registration for special sessions, eJLB distribution, and complimentary online and iSLB career and news postings. Click HERE to view annual membership dues. There is a discounted, convenient 3 year regular membership option, as well as an option to support SLB further by becoming a sustaining member. Sustaining members will be listed in the iSLB issues, recognized at the annual meetings and can feel good about supporting SLB initiatives. Membership is based on the calendar year. Renewals begin after the annual meeting (typically November 1st) for next year's annual dues credit. If you are an author of a recent paper in JLB and received a special offer to join, please follow this link to proceed. If you received an SLB Trainee Award certificate and would like to join using your special offer code, click here.